Below you fill find all funeral homes and cemeteries in or near Uvalde. Uvalde is also known as: Uvalde County / Uvalde city. Their current mayor is Mayor Stephen E. Balke. Zip codes in the city: 78801, 78802. Some of the notable people born here have been: Matthew McConaughey (actor and voice actor), Bobby Bonner (baseball player), Dave Hilton (baseball player), Carlos Guevara (baseball player), Floyd Mitchell (film producer), Audrey Walters (actor), and Angela Kozak (actor). Uvalde is a city in and the county seat of Uvalde County, Texas, United States. The population was 15,751 at the 2010 census.Uvalde was founded by Reading Wood Black in 1853 as the town of Encina. In 1856, when the county was organized, the town was renamed Uvalde after Spanish governor Juan de Ugalde (Cádiz, Andalucía, 1729-1816) and was chosen as county seat. It is usually considered the southern limit of the Texas Hill Country or the most northerly part of South Texas. Historically, Uvalde is known as the Honey Capital of the World for production of huajillo (also spelled guajillo) honey, a mild, light-colored honey, dating back to the 1870s.Uvalde was the home of John Nance "Cactus Jack" Garner, former Speaker of the House and Vice President of the United States. Oscar-winning actor Matthew McConaughey, actress Dale Evans, and former Governor of Texas Dolph Briscoe (after whom the post office is named), were born in Uvalde. The city is also home to the Grammy Award-winning Tejano/Norteño group Los Palominos. It was noted on October 31st, 2018 that Edwin L Jr Lucas died in Canon City, Colorado. Lucas was 84 years old and was born in Uvalde, TX. Send flowers to share your condolences and honor Edwin L Jr's life. It was revealed by Albany Democrat-Herald on March 2nd, 2017 that Roger W Lindquist perished in Corvallis, Oregon. Send flowers to share your condolences and honor Roger W's life. It was revealed on November 30th, 2016 that Ronald Eugene Deacon passed on in Uvalde, Texas. Deacon was 69 years old. Send flowers to share your condolences and honor Ronald Eugene's life. It was revealed by Greeley Tribune on September 27th, 2016 that Robert M Jr Valensuela perished in Greeley, Colorado. Valensuela was 64 years old and was born in Uvalde, TX. Send flowers to share your condolences and honor Robert M Jr's life. It was revealed by Flint Journal on August 21st, 2016 that Ramon Hill passed on in Flushing, Michigan. Hill was 73 years old and was born in Uvalde, TX. Send flowers to express your sympathy and honor Ramon's life. It was noted by Tri-City Herald on September 10th, 2015 that Armando C Chapoy passed on in Richland, Washington. Chapoy was 56 years old and was born in Uvalde, TX. Send flowers to share your condolences and honor Armando C's life. It was noted by Modesto Bee on March 3rd, 2015 that Al Oliver perished in Modesto, California. Oliver was 80 years old and was born in Uvalde, TX. Send flowers to express your sorrow and honor Al's life. It was written by San Mateo County Times on February 1st, 2015 that Catherine "Cata" Vargas (Hill) passed on in San Jose, California. Ms. Vargas was 79 years old and was born in Uvalde, TX. Send flowers to express your sympathy and honor Catherine "Cata"'s life. It was disclosed by Sierra Star on August 7th, 2014 that Mary Bernice George passed on in Oakhurst, California. George was 102 years old and was born in Uvalde, TX. Send flowers to share your condolences and honor Mary Bernice's life. It was noted by Duncan Banner on August 4th, 2013 that Mario Perez-Ortiz died in Bray, Oklahoma. Perez-Ortiz was 91 years old and was born in Uvalde, TX. Send flowers to express your sorrow and honor Mario's life. 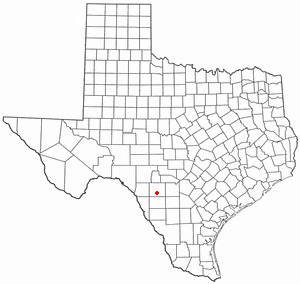 Uvalde is a city in and the county seat of Uvalde County, Texas County, Texas, United States. The population was 14,929 at the 2000 United States Census census. . . . The official website for the city of Uvalde is http://uvaldetx.com/. Guajardo Funeral Home, Uvalde, TX : Reviews and maps - Yahoo! Local, 830.278.4447. Get Ratings, Reviews, Photos and more on Yahoo! Local. Listing all funeral homes in Uvalde, Texas so you can easily send flowers to any location (same day delivery) or find any funeral service. funerals in Uvalde, TX on Yahoo! Local Get Ratings & Reviews on funerals with Photos, Maps, Driving Directions and more. We work with local florists and flower shops to offer same day delivery. You will find budget sympathy flowers in Uvalde here. Our funeral flowers are cheap in price but not in value.